A musical tabletop roleplaying game where you play both the characters and the soundtrack. An epic Gothic horror-fantasy RPG 30 years in the making. Explore the lands. Explore your Dreams. Explore your Fears. The Cosmic Mirror Core Rulebook is the core rules needed to play in future Cosmic Mirror Games settings. Sci-fi, fantasy, modern fant. Explore Mega-City One and beyond with the official tabletop roleplaying game for the galaxy’s greatest comic! Hearts & Souls 2nd Edition, a role-playing game of super-heroic drama, action, and adventure! An introductory role playing game for kids and families. Experience the world of Fairytales by learning the morals of the story in this new RPG! A pen and paper fantasy role playing game. A new Pen and Paper RPG system with over 200 combinations of Dual Classes & Create your own Guild and Monsters. Cyberpunk, Space opera, Mystery or Fantasy stories in a pocket size box: PVC cards, glow in the dark dice and a micro size rulebook. The Logbook Project aka Max Hervieux is creating collaborative tabletop story games. Since then, my designs have been on the smaller side, more experimental and thematically-driven, and less reasonable for larger-scale production through Kickstarter. That’s where Patreon comes in, helping to support my continuing design efforts. A rules-lite Role-Playing Game in the style of H.P. Lovecraft. This is completely compatible with our previous game CHOMP!. Perfect for those that love RPGs, but struggle with finding the time to get together with friends or to dedicate to long sessions. A unique tabletop fantasy RPG adventure game where YOUR CHOICES and the ROLL OF THE DICE determine the OUTCOME of the story and game. The 1-6 player cooperative adventure game expands into Science Fiction and a Deluxe Edition bundle. 100% open source & 100+ quests! An emotionally compelling storytelling inner adventure game. An illustrated game-in-a-book, where the reader chooses the story and all you need to play is a pencil. Quick, The Clockwork Knight & The Pyramid of Doom! A brand new adventure gamebook by Jonathan Green, based on the ancient epic. A tale of heroes… A tale of monsters… A legend reborn. A game book where YOU are the hero. A 5th edition planar cyberpunk setting involving the metaphysical center of the multiverse! Podcast & full support book series planned! More Mythos and madness from the producers of Leagues of Cthulhu, the Ubiquity-powered RPG of Victorian Lovecraft’s Mythos. A system-neutral campaign setting for tabletop fantasy role-playing games. A full-colour hardback sourcebook for the Spire RPG. Use our dynamic system and your favorite tarot deck to generate characters and entire campaigns! Rules and resources to enable solo play of ANY pen-and-paper roleplaying games. 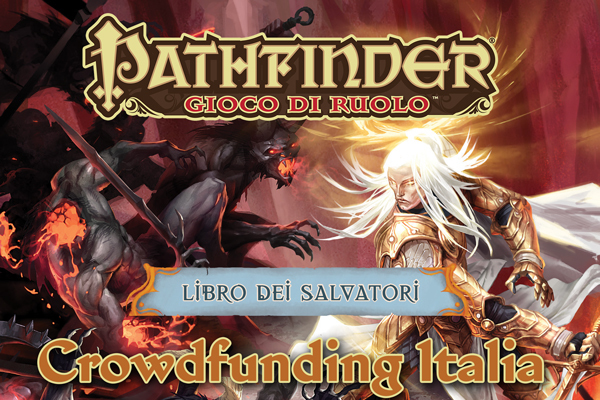 Includes specifics and examples for Pathfinder and 5E. Games within your games! 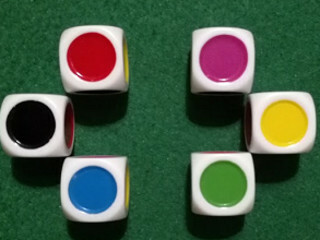 Fast and fun Dice based Mini Games for your Table Top Role Playing Games! The Ssethregoran Empire is not just a monster book, but a monstrous empire, detailing the reptilian nation of the serpent-men. An all-in-one book of 5e compatible material! Island of Blight is the second part of a four-book adventure series. For 3-5 players using characters of low- to mid-level. 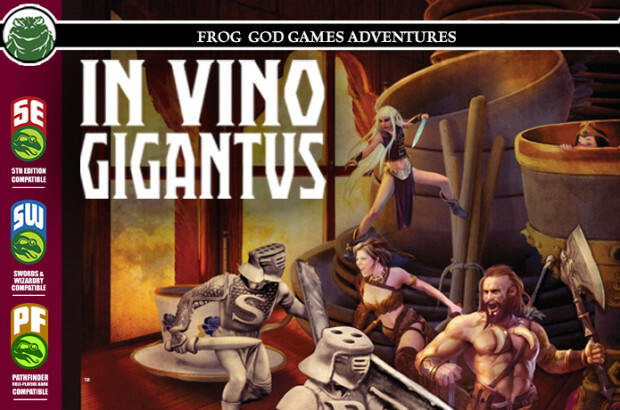 An unsuspecting party will serve — and if necessary, die — to save a storm giant’s beloved wine. 5th Edition roleplaying adventures in the deep and menacing forest, for PCs level 1 to 10. Explore the ancient woods & their mysteries! GHOSTS OF CASTLE NEVERMORE – D&D 5e & Pathfinder Compatible! D&D 5e and Pathfinder Compatible Fantasy RPG Adventure. 14-DAY Campaign Based on The Short Stories of EDGAR ALLEN POE. For Levels 1-20. 5th Edition RPG module for 8th to 10th level characters who defend an imperiled village by invading a castle in the sky! Dragon Scales Dual Drake Metal gaming dice with all new two colour patterning! For your RPG and board games adventures. Polyhedral dice sets for ttrpgs including Dungeons and Dragons, inspired by the different pride flags. A complete 7-piece polyhedral set designed by me and crafted by Q-Workshop for table-top gaming. Extra Large & Extra Heavy Metal Polyhedral RPG Dice Set for DND Dungeons and Dragons, Call of Cthulhu, and Tabletop games and RPGs. Movie Dice: What To Watch? A Pair of Iconic Movie Genre Dice for randomly narrowing down what to watch. Stunning metal D20 coins with serious heft. For adventurers everywhere. Mint quality fantasy coins to enhance your quests and campaigns! The Game ON! Travel Coin set is elegant accessory that will enhance your gaming. Help me mint these high quality Appreciation Coins! A dice tower with a built-in re-roll function. Flip it, and you have a brand new roll! Store your dice in a Dice Vault etched with forbidden symbols inspired by the madness of horror legend H.P. Lovecraft’s Cthulhu Mythos. 3 Sizes of Dice cases to add some bling to your game nights. Each made from 10 species of Colorful Hardwoods. Christmas Delivery! Table-top gaming storage chests that look like Mimics! Geek & Dice Themed Stockings – delivered before Christmas! These stockings are strong, soft and have room for plenty of Christmas cheer! Plus, they come with a FREE set of RPG dice! 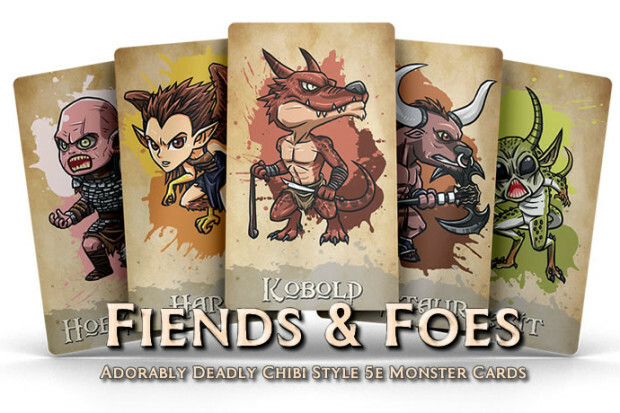 A total of 288 monster cards with awesome artwork on the front and a stat block on the back! A deck of magic item illustrations for tabletop RPGs. A set of cute hard enamel pins inspired by fantasy RPG weapons. A new book from the publisher of The White Box for people who play, discuss, critique, design, and love cooperative board games. Gary is a down-on-his-luck shoe repairman, but when he pursues his passion for fantasy games, it takes him on a real-life adventure. A high-quality volume featuring original games, incredible artwork, and expanded content for all corners of the roleplaying game hobby. 50+ Tabletop Roleplaying Maps For D&D, Pathfinder, and more! A collection of maps for your Dungeon & Dragons, pathfinder, or other tabletop games. Features Caverns, Keeps, Dungeons, and Buildings. 80 New High-Resolution RPG Terrain Battle Map Extensions for Jungle, Snow, Forest & Desert. VTT Compatible / Gridded / 300Dpi JPEG. A full colour, laminated-neoprene Dungeon Tile System, designed for simplicity and ease of use while looking amazing! Affordable Foam Dungeon Tiles For Tabletop Games. 24×36 poster maps for table-top miniature games and RPG’s based on a 1.5-inch grid. Terrain markings for gameplay clarity. A journal designed for board game enthusiasts. Character sheets are boring. These beautiful, detailed, and practical cases make your sheets the most awesome thing on the table. A real-play podcast dedicated to Cthulhu, noir mystery, and two-fisted pulp action. The return of my famous art packs with some new amazing additions. A magnificent total of 525 icons for the best mapping experience! Frosty produziert Pen&Paper Actual Plays zu allen möglichen Genres und Systemen, die ihn und oder euch interessieren. Dabei kümmere er sich sowohl um Rollenspiel-Theorie, Livestreams mit Gästen als auch Tutorials um eurer Runde ein paar neue Impulse zu geben. Dabei gibt es wie immer kein richtig oder falsch, sondern nur Ratschläge und Hinweise. Spielen entspannt, Spielen macht Spaß. Besonders mit Freunden. Helft und im Herzen Leipzigs einen Spieletreff für Jung und Alt, Noob und Pro und alle Anderen zu erschaffen. Egal ob Du die Wartezeit auf deinen Zug/Bus überbrücken willst, ob Du bei schlechtem Wetter eine bezahlbare Indoor-Aktivität oder einen Stammplatz für deinen Spieleabend suchst. Hier wirst Du geholfen. TOTALSTRATAGEM – Diriger ou périr. VOUS êtes le héros! Guidez votre Peuple dans la Galaxie. 1er jeu de société interactif sur table et mobile. +1000 H d’aventure. +2000 joueurs! L’Héroic Fantasy… telle que vous ne l’avez jamais lue ! Rejoignez Karvosti, la chasse au trésor la plus terrible et la plus périlleuse depuis l’époque de Symbaroum. Se trata de un tira dados, en forma de fortaleza de los señores enanos. Strid – Kalla sinnen & Härdat stål! Modulen som behandlar allt för striden i rollspelet Eon är här. Thanks so much for bringing up Union City Heroes! I hope you take some time to explore the Kickstarter and/or our website and pledge! This is a great game and you’re definitely going to like it!